The first hip-hop record to achieve widespread popularity in Nigeria was “Rapper’s Delight” by The Sugarhill Gang, in 1979. Thirty years later, hip-hop is the premier pop music of Nigeria, dominating radio play as well as the sales charts, feted in megabudget videos, glossy magazines and glitzy award shows. When the average Nigerian kid decides to get into the music biz, the first impulse is not to grab a guitar or a talking drum, but to pick up a microphone. It was a long way from there to here, though. For years, the earliest attempts at homegrown rap were ridiculed, resisted or downright reviled by the mainstream. And in some cases, perhaps, rightfully so: they were often awkward, overly imitative, fatuous. But they also laid the foundation for the 2Faces, the 9ices, the D’Banjes, Ruggedmans, Modenines and the rest of today’s Naija hip-hop superstars. So here’s our salute to some of the groundbreakers in the first decade of Nigerian hip-hop. For personal use (listening on your pod device) you may also download the mp3 (size: 118 mb) by right-clicking here (‘save as…’). When linking to the podcast please link to this page, not the sound file. “Ronnie” was Ron Ekundayo, a highly popular Lagos nightclub DJ, television presenter and on-air personality on the very hip 97.6 Radio Nigeria 2. Inspired by the success of music superstar Kris Okotie, Ekundayo decided to add “recording artist” to his burgeoning resume in 1981. 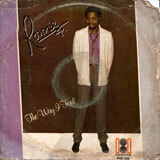 The album The Way I Feel featured mostly Okotie-esque pop and dance tunes, but the title track was a bold and unprecedented stab at the new disco rappin’ trend. Ronnie never recorded a follow-up to The Way I Feel, but his place in history is secure as the man who made the first rap record in Nigeria (and, very possibly, in Africa). Teenaged “Dizzy” Kunle Falola was regarded as little more than another Michael Jackson imitator when he first arrived on the scene in 1982, but over the course of the 80s he would release some of the most ingeniously funky records ever to come out of Nigeria. 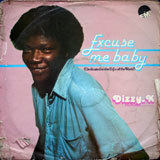 He was also an early adopter in the rap race, with this disco-ready offering from his debut LP Excuse Me Baby. 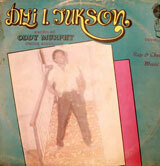 Like most of the early Nigerian rappers, Dili I. Jukson’s rhyme style prioritizes cadence over content but his laidback flow is enough to set the party off on this Beat Street-influenced joint. 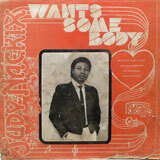 In 1981, canary-voiced singer Oby Onyioha sent shockwaves through the Nigerian music industry with I Want To Feel Your Love—a glossy pop and disco LP helmed by producer Lemmy Jackson. 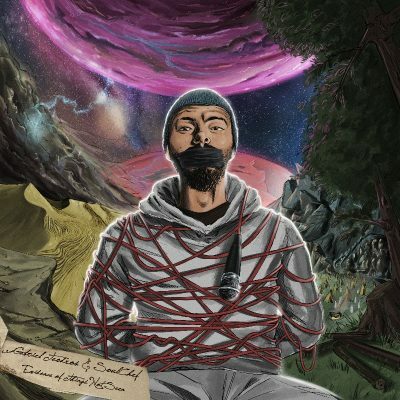 When Onyioha and Jackson reteamed three years later for Break It, the album didn’t fare too well with the mainstream audience but the emerging hip-hop community embraced the title track and its music video, which tipped its hat to breakdancing and sneaker culture. 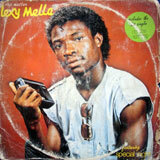 Lexy Mella confidently anointed himself “Rapmaster” on the cover of his debut LP even though he didn’t rap very much (or very well) on the record. He did, however, sport a pretty convincing “hip-hop” image, complete with jheri curl and JPS gear (as in “John Player Special”— the John Player cigarette brand became synonymous with hip-hop during the era due to the company’s sponsorship of an annual, national breakdance competition). Bucknor’s forte was really slick boogie music rather than hip-hop. Still, there was still enough crossover between the two scenes in ‘85 to make this one a surefire floor rocker for the b-boys. Despite the popularity of social commentary records like Grandmaster Flash & the Furious Five’s “The Message,” most Nigerians viewed rap mostly as mindless party chanting. The stern moral imperaitives of I.C. 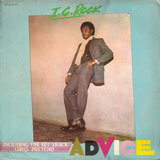 Rock’s “Advice,” segueing into the Igbo language “Oge Chi Ka Nma” (translating as “God’s time is the best time”) in a way represents a nod towards more “conscious” rap. 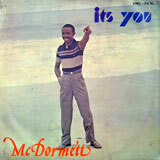 This offering from singer Ernest McDormett Ofonedu indicates the mid-decade trend towards digital production sounds and the increasing association of “funk” with a more machine-like sonic qualities. The emphasis would drift further and further from live musicians and more towards the craft of the producer and the use of the studio as a musical instrument in itself. 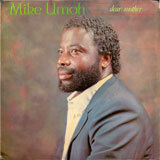 Mike Umoh was the drummer in popular soft rocker Bongos Ikwue’s Groovies band in the 1970s before embarking upon a solo career. His biggest hit was the 1981 discolypso smash “Early in the Morning” but he also tried his hand at reggae, funk, pop, gospel and here, rapping. Most of his rhymes seem to be plagiarized but he makes up for the lack of lyrical originality with an abundance of exuberance! 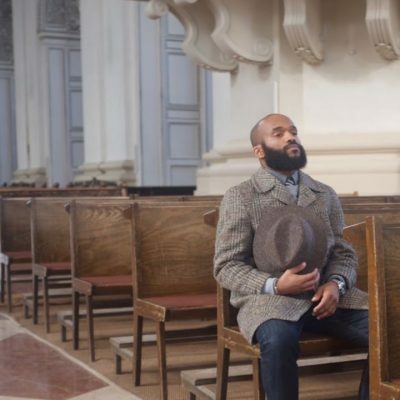 Pop singer Timi Gawi “3”’s rhymes are straight outta nursery school, he doesn’t have much of anything one might describe as a “flow,” and it’s not easy to figure out the connection between boxing and rapping in this show. 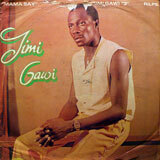 Perhaps Timi’s concept of rap here derives less from hip-hop than from Muhammed Ali’s rhymed toasts and boasts? 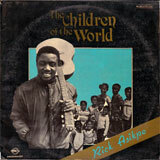 Richard Asikpo started his career while a student in Houston, Texas, fronting the funk band Afro-Fusion (which featured guitarist Charlie Singleton, who would soon find fame with Cameo). 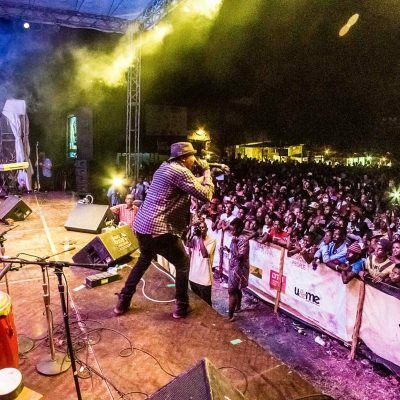 Upon returning to Nigeria, he continued to ply his distinctive synth-infused funk. “Jam” was a groove-in-progress that he revisited over the course of three albums, giving it a hip-hop twist on this final installment. 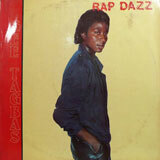 The breakdance craze was fading too, but Gee Tagbas’s “Rap Dazz” throws up one last hurrah for the b-boys. Gee’s rapping isn’t particularly coherent but works as an effective rhythmic complement to the dark electro groove. 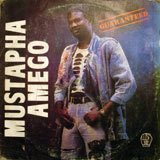 Mustapha Amego was the host of Sunday Rendezvous, the Soul Train-esque TV show that was de rigueur viewing for the new generation of Nigerian hip-hop and R&B fans in the late 1980s. 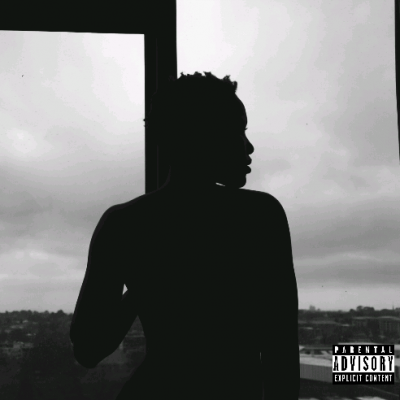 “Lagos” features backing vocals by Alex Ibeh a.k.a. “Mr. Kool” of Sound on Sound*. 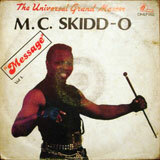 “MC Skidd-O” appears to be an incarnation of Skid Ikemefuna, original host of Sunday Rendezvous and its more popular offshoot, The Kessingsheen Hit Show. In a previous life, Skid played guitar in the 1970s rock band Grotto; these days he is a successful businessman and gospel music artist. In our mind, “Which One You Dey?” by Emphasis—a trio composed of rappers Terry and Mouth MC and singer Junior—represented homegrown Nigerian hip-hop finally finding its own voice. 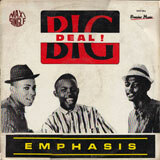 Unlike most of their predecessors, Emphasis didn’t rely on barely-rhymed doggerel aping the rhythms and cadences of American old-school rap records, but instead presented a lucid narrative complete with plot, characterization and humor, delivered with a relaxed flow in pidgin English—the true language of Nigeria’s streets. Sound on Sound was a group composed of Nigerian vocalists Mr. Kool, Ebony Laoye and Monica Omorodion, and Americans Troy “Jedi” Williams and Ron “Scratch” McBean. 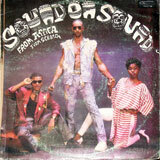 Sound on Sound’s 1988 LP Africa From Scratch (featuring the single “I’m African”) was, without a doubt, the first full-fledged rap album produced in Nigeria. And while at the time of its release a lot of us thought frontman Scratch was a mediocre MC who probably moved to Nigeria because he was too corny to make it in the States, we later learned that he’s actually unimpeachably credible, having played a pivotal role in the history of hip-hop before he came to Africa. 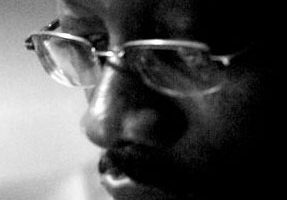 McBean—then known as “Ron the Mad Master Mixer”—originally formed Sound on Sound as a New Jersey DJ crew in the late 1970s. When Sugarhill Records boss Sylvia Robinson became intrigued by the growing hip-hop phenomenon and decided to put together a rap group to make a record, it was McBean who recommended that the record be built on Chic’s “Good Times” and who helped assemble the group, supervising the auditions of Guy “Master Gee” O’Brien and Henry “Big Bank Hank” Jackson. The third slot in the Gang was filled by McBean’s cousin Michael “Wonder Mike” Wright, who was previously an MC in Sound on Sound. 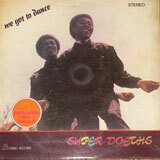 Sound on Sound Productions released a couple of singles in 1980, the best-remembered being “The Incredible Hump,” on Salsoul Records, but when they never really took off, McBean took off for Nigeria and formed a new incarnation of Sound on Sound. We’d like to think that had we known of McBean’s incredible pedigree at the time, we might have given him a little more respect. But in ‘88, his style just sounded too elementary, too quaint, too old school for ears that were currently devouring Rakim, Chuck D and Slick Rick. In retrospect, it’s ironic to think that one of the facilitators of hip-hop as a recorded genre in America would also end up being one of the pioneers of its entrenchment on the African continent, so much props due to DJ Ron! this should help the present case of suppose hiphop heads not knowing their father’s name. if you catch my drift. At last, Emphasis gets the recognition they deserve! Also love that Nigeria has a ‘history’ in rap. I am well proud! But it was highly entertaining and educative looking at all these Afro headed naija Rappers lol- I promise to carry on tradition! 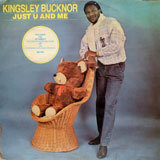 I remeber Ron Ekundayo doing his rap thing with his brothers Johnson haircut at the ’82 John Player disco championship. 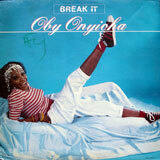 Also remember Oby Onyioha’s break it, although i wouldn’t go as faras calling it a rap track. She basically sang a few lines over some heavy breakdance beats. The video featured those John player break dancers with their ghetto blaster popping, breaking and locking throughout lol!! Yeah, I’m familiar with the current work of all three former Emphasis members. I was going to mention their current incarnations as K16, OB and Capt OIA but I left that out because I’m planning to interview them later. What is that short interlude starting at 17:25, between “Pump” and “Break It”? Palme, it’s the news announcement of LWT Ikeja from 1986. Meeeeeeeeeeeeeeen! now I know what it felt when growing up, older people talked about the good old days. Not that many of these guys are as good as what we have now, but they were the foundation. Extremely commendable compilation! But there was one group you left out. 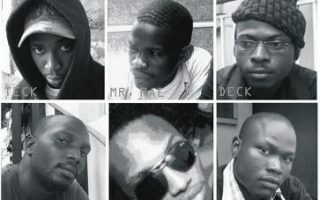 They were the only other ‘real’ rap group apart from sound on sound to have released a full fleged rap album. 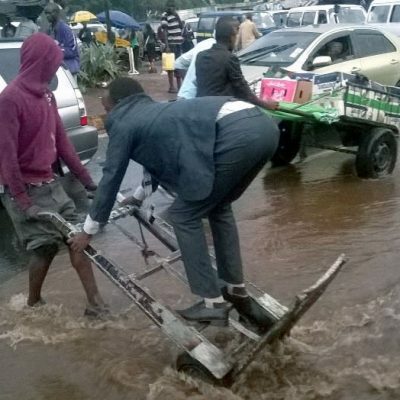 Probably didn’t gain much popularity outside lagos (for obvious reasons). Anyone remember THE FURIOUS TWO ? Yes, I remember the Furious Two! Totally slipped my mind during the making of this mix, though! You also left out Tyna Onwudiwe aka African Oyinbo. She acted in early Nollywood movies, was good friends with, and major infuence on Charly Boy, and released an album around 1991. She sang mostly, but i also remember her rapping on her remake of Bob Marley’s “Turn Your Lights Down Low” (a decade before Lauryn Hill, might i add!). The beats on her other hit song and video “Asiko” was also heavily influenced by hip-hop. I am seriously searching for her album by the way, so i’d appreciate if anyone has info on how to get my hands on it. I believe I have Tyna’s album somewhere, though I haven’t listened to it in ages. (I was never too fond of her sound) I don’t recall her rapping on it, but I might be wrong… I’ll go check it out! If you do find that Tyna album, could i possibly trouble you (more like beg and plead) for a copy? I’ve been searching for it for a few years now with no luck. I’d really, really appreciate it! I submitted my email address along with this comment. Wow! i was born in the early 80s and i know not one on the list lol..Thought it all started with Junior and Pretty. Very enlightening post. Thank you! I am Tyna Onwudiwes brother,(same mother),i am also looking for her Albums/records,I would be happy to pay for them if someone can help with this.My mother would be over the moon if this attempt is sucsessful.Thanks in advance. hi this ignatius paul from rivers state nigeria i want to get updates on football direct on phone number through text on call me ok live you. Nice info guys,trust me i did ave any ideal of most catz there!! Beautyful historical work. 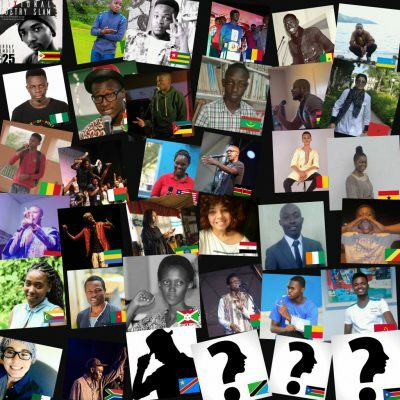 i knew most of these artistes from way back. however, it’s still good history. what i am looking for is a copy of Emphasis’ album. anybody has one? or know where to get one? I’m still finding it difficult to believe these old skool catz actually had something like this. I thought the only kind of music they know and believe as good are the ones made by the sunny ade’s and co. Didn’t get to listen to the songs though but i’ll surely come back for them when i get back to school and have my laptop back. What about Junior and Pretty, who started rap in pidgin English? I wouldn’t say Junior & Pretty started rap in pidgin english, Ann… Both Emphasis and De Pretty Busy Boys (featuring a young Daddy Fresh and Daddy Showkey) did it before them. 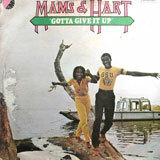 Edutainment at it finest, thanx 4 keepin it funky! i love been into music good having the fun and feeling around from the underground i feel real nice loo. You didn’t leave any contact info but if you read this, please email me at combrazor at yahoo dot com. 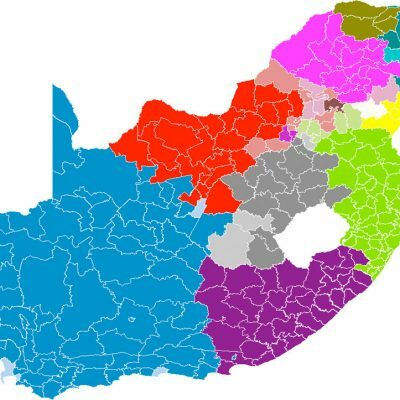 damn am mad at this info pepo like ronnie, and likes of others its very intresting, i wish am boyant i could i’ve sponsored this program,never the least i ll deinately support this program in my only way. 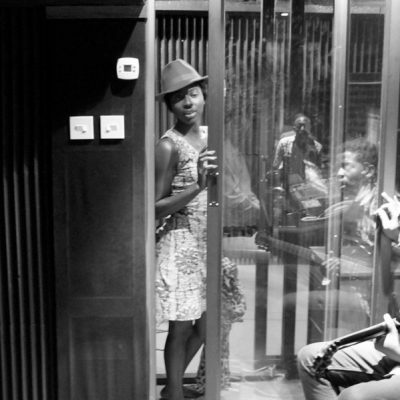 Great work Uche, props to and for all you do for Naija music. This is Soulbrotha (from OKP). I trailed here out of curiousity and boy am I glad I got on here. You bring a lot of fond memories back and give me new ideas. Now I can put all my parents’ old vinyl to great use. I hope us young folks can fully appreciate and have a good spectrum of what our music has been and what it can be. Thanks SB! Glad to see you around! Now this is deep stuff. I was googling for the group called Emphasis and i came across this. I knew Emphasis from primary school days and OGTV used play the videos. Hip hop has really gone a long way. Very enlightenen write up. Cashman David was definitely not the first Nigerian rapper. As you can see from the piece above, many Nigerians (some not even included here) had release rap records in the 10 years before De Pretty Busy Boys’ debut in 1991. Of course, De Pretty Busy Boys LP was a turning point, but mainly because two members of the group, Daddy Fresh and Show Kid (later Daddy Showkey) would go on to become big stars in the 1990s. 9jaB4.com is a user content sharing website that aims to evoke feelings of nostalgia about Nigeria. Share your memories of the past. Reminisce & take a trip down memory lane. 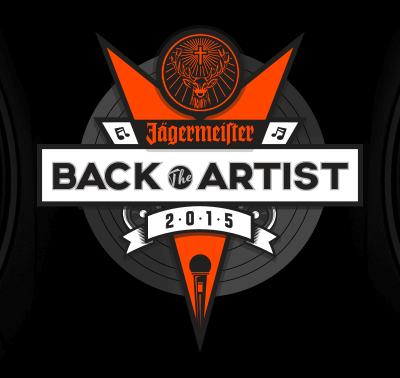 Share your pictures, videos, music, blogs and articles. Browse the forum and if you can remember having light for more that 10 hours a day join us and talk about it. This is awesome. Is there going to be 1991 – 2001? I actually remember Emphasis and that track from Sound on Sound as a kid. I think Junior & Pretty came out around the same time as Emphasis if I am not mistaken. This is great! Please give us more! !